"City of stars, are you shining just for me…?" Lionsgate has unveiled the first fantastic trailer for Damien Chazelle's new Los Angeles-set musical La La Land, and it's so totally wonderful. I love everything about this and can't wait to see it. Ryan Gosling stars as a jazz pianist who falls for an aspiring actress, played by Emma Stone, in the City of Angels. There's lots of singing and dancing and it all fills me with such joy because this is the next film from Chazelle, who blew everyone away with Whiplash. The full cast includes J.K. Simmons, Finn Wittrock, Rosemarie DeWitt, Sonoya Mizuno, Hemky Madera, Josh Pence and John Legend. This is one of those stop-what-you're-doing and watch this right now kind of trailers. 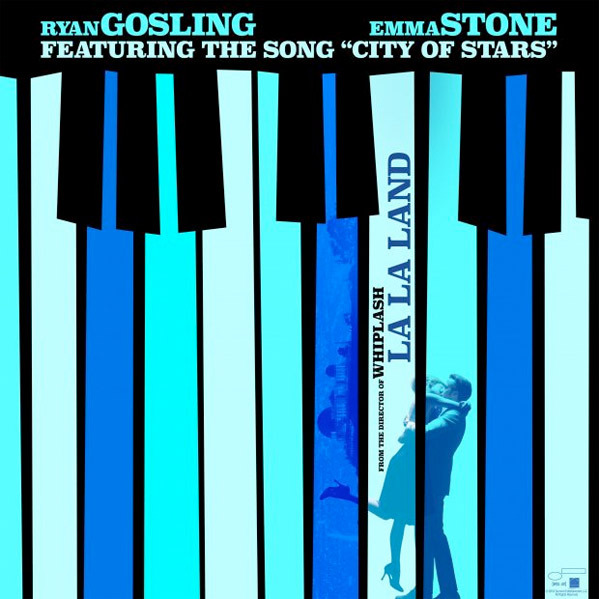 The song heard in the trailer, titled "City of Stars", can now be downloaded via iTunes as well. Mia (Emma Stone), an aspiring actress, serves lattes to movie stars in between auditions and Sebastian (Ryan Gosling), a jazz musician, scrapes by playing cocktail party gigs in dingy bars, but as success mounts they are faced with decisions that begin to fray the fragile fabric of their love affair, and the dreams they worked so hard to maintain in each other threaten to rip them apart. La La Land is written & directed by filmmaker Damien Chazelle, his second feature film following Whiplash, which received a Best Picture Oscar nomination and won three other Oscars. Lionsgate is planning to release Chazelle's La La Land in select theaters starting December 2nd this year, expanding wide soon after. Who else can't wait? Cool! That's a well made trailer. I will be interested to see if Stone can properly rebound as playing a non-ironic Japanese woman from that terrible Hawaii movie. Yeah, I am usually on your side Bo, but I am drawing a line here. She was playing an Asian woman called "Ng"...she a Caucasian. End of story. This is not political correctness or over sensitivity. This is stupidity. Bad move on her casting agent, publicist and ultimately her. // "To Each, His Own."